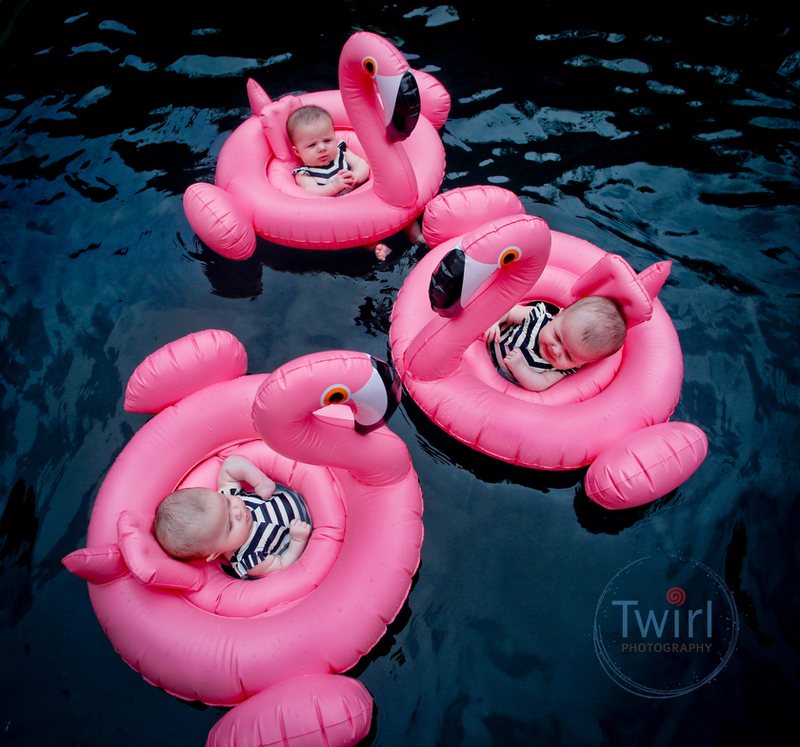 Vivienne, Wells and Georgie take this first swim, in their own personal flamingo, for their four-month photography session at their Lakeview home. Older triplet siblings Ellie, Jack and Oliver were in the deep end swimming like pros as mom and dad stayed close at hand for the girls who were quickly learning how fun it was to have kicky feet. These little girls are getting more and more animated every month I visit to take pictures of their first year. 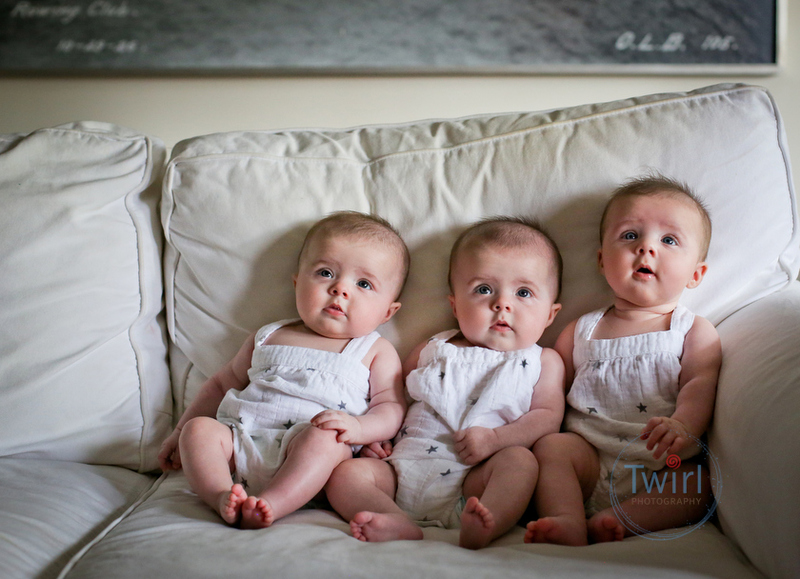 With big smiles, inquisitive eyes and those adorable chubby cheeks, the triplets are growing each month. The bond between the older and baby triplets are growing each month as well with sweet little kisses and hugs.